I had an early to start my Journey to Bali with an early morning flight from Christchurch to Auckland and on to Denpasar with Air New Zealand. If you use the self-check-in machines at Christchurch airport you will receive both boarding passes to Auckland and for the service to Bali. I decided to splash out on a Koru membership this year (a sweet deal through my credit card) so checked out the domestic Koru Lounge in Christchurch and the international lounge in Auckland. All Air NZ lounges had Appleton’s Rum and Coke on hand to awaken the travelling spirit within. Auckland to Denpasar takes around 8 hours 45 minutes flying time (note it was only 7 hours coming home). Being a man of the people I flew economy class but due to seat selection strategy managed a spare seat beside me. During the flight however I came to the realisation the young Indian/Kiwi gentleman on the window seat (I was on the aisle) had booked a trip to the Gold Coast with me back in 2007 when I worked at HOT Dunedin and he was a young irresponsible student. Air NZ had the usual in flight entertainment you would expect; the service was ok and the flight got me from A to B safely so can’t really complain. On arrival at Denpasar Airport after a long walk from the arrivals gate to the customs area we were through fairly quickly however then had to wait for an eternity to collect bags. I think they were doing security checks on each suitcase individually before they were put on the carousal or so it seemed. After finally my collecting bag it was out into the terminal where things were a touch chaotic…. You were greeted by what looked like hundreds of taxi drivers and transfer companies holding signs and yelling out surnames, or in my case….Mr Robbie. I had a free transfer booked with my hotel and it’s fair to say it took me a while to find them. Once my hotel transfer collected me it’s just a 5-10 minute transfer to most hotels in Kuta depending on traffic. I was staying at Kuta Paradiso Hotel which claims to be 5 star hotel although I would say more 4 star. After checking in and receiving a complimentary drink I pretty much hit the pillow and was off to sleep. Awaking to beautiful sunshine and pleasant temperatures it seemed like a perfect day to head to a water park. My travel agent (Me) was smart enough to book my hotel just a 5-7 minute walk down the road from the Waterbom Water park, reputed to be Asia’s number 1 water park and I have to agree. I arrived nice and early at 10.00am so managed to secure a good sun lounger to base myself for the day. Cost for entry was about $40.00NZD and all food and drink in the park was reasonably priced. A large pizza of superb quality was around $6.00NZD and you could get a 1 hour massage for $12.00NZD. There were lots of slides for all ages and abilities including a sperate area of the park for toddlers and young ones. I could imagine families having a great day out here to escape the hustle and bustle of Kuta. My recommendation would be to book a week’s pass at a discounted rate, and if you are going arrive at the Park early to get a got spot to base yourself or if you wish you can reserve your own cabana for a fee. I pretty much spent the full day here and it was a great mix of relaxation and fun. So after my day at the Water Park I was told of an amazing deal at this place called Sky Garden. It’s a multi-level bar/night club that early on does a buffet dinner of decent quality. And the amazing thing is for 4 hours 5pm-9pm it's all you can eat and all you can drink (Including Heineken Beers and Vodka RTD’s) for 99000IDR with service fee, about 12NZD! Not only did I receive a more than adequate meal but I also managed 8 beers and 6 RTDs. (When in Rome……). After the dinner and complimentary drink service ends the DJs crank up and the party starts. I was sitting with a group of Kiwis and a couple of French guys as well as some Germans and Aussies. It's a great place to meet many people from different nationalities and backgrounds. Just a note that the last hour of free drinks (8-9pm) the line starts to get quite long as people try and queue before the free drinks service ends. There was a large mix of ages so as long as you’re at least 21 your welcome to attend and wont feel out of place. Luckily, I took my Hydrodol Hangover pills during the night (highly recommended by the way) so the next morning I was feeling slightly above average. So after a good hotel breakfast served by Kuta Paradiso I thought it was a good day to explore Kuta on foot. I first headed to the beach. I heard you get hassled a bit from sellers and ladies trying to paint your nails etc. As it was the morning it didn’t seem as bad as I thought but by afternoon you certainly got a few more enquiries from the locals. However I didn’t find this as bad or as intrusive as Patong beach in Phuket. Kuta beach is just ok. Fairly decent waves out a bit further so good for surfers but maybe not so great for young kids and families wanting a swim or peace and quiet. Older kids and couples may find ok to swim. I did notice some locals walking the beach and picking up rubbish which was good. The afternoon I looked at some shops and markets around Kuta, I heard Kuta has the cheapest markets in Bali. The general rule for shopping in the markets is to pay around one third of what they say the price is to ensure you are paying a fair price. Most adult T-shirts were 50000IDR so around 6NZD after haggling down the price from 150000IDR at the start of the bargaining process. After an hour or 2 of wandering around I came across the Sky Garden bar from the night before and little did I know but directly next store was the sight of the 2002 Bali bombings that killed 202 people. Quite a sobering thought that I was enjoying my Saturday night right next to where this disaster happened back in October 2002 on what was just a normal Saturday night in Kuta. My short stay in Kuta was now done, next job was to head to my new accommodation digs, this time in Sanur. Sanur is about 25-30 minutes drive away on the eastern coast of Bali. There are two types of taxis in Bali….taxis with no name that just charge you whatever….or Blue Bird Taxis or as they call them… Taksi. The Blue Bird “Taksi” runs on a metre and are much cheaper! I was quoted in the no name white taxi a cost of 200000IDR around 22NZD to Sanur which while not bad the Blue Bird I got only cost me 90000 or 10NZD. So make sure when you’re in Bali you take the Blue Bird Taksi! My accommodation in Sanur was at the Akana Boutique Hotel. This was a modern yet also traditional feeling Balinese property that because of its smaller boutique feel you had that more personal experience. For example, the property provided around 8 free bicycles for guests to use free of charge which was a really nice way to explore the area. One of the highlights of this property though was the restaurant! Some of the best tasting and looking food I had ever had and at a crazy good price! The above Pan Seared duck breast on Asian noodles and Salad was 40000IDR that’s just 4.50NZD! Follow that up with deep fired banana with a chocolate sauce, home made Vanilla Ice cream and a sugar snap basket below for 20000IDR or 2.50NZD! The night life in Sanur is much quieter than Kuta, Legian, or Seminyak however there are hundreds of restaurants and eating establishments so you wont go hungry. There is one bar that has live music every night and attracts a good crowd to enjoy a good dance or have a boogie especially if you have indulged in one too many cocktails. Introducing Casablanca Bar and restaurant Sanur! 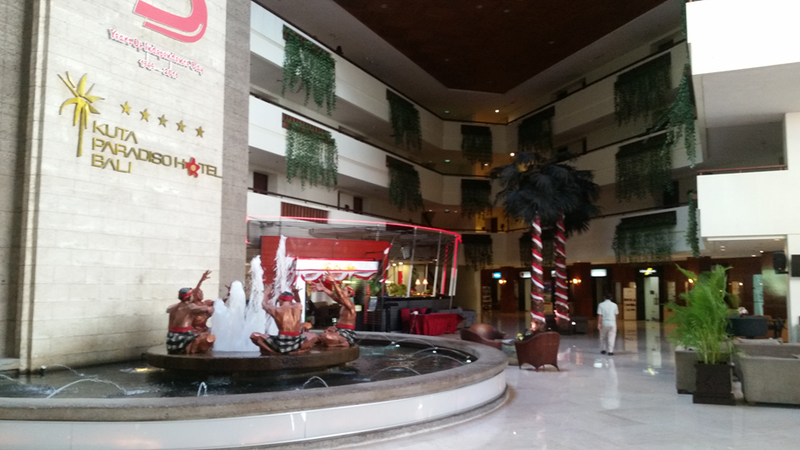 Every night they have a live band with a different music theme, eg Rock, Jazz, Reggae, etc etc…. Aaron (House of Travel Alexandra) and his ukulele band wouldn’t be out of place….. The other great thing about Sanur as its close to a few Bali attractions. You will find that you are not too far away from Ubud (50-60min drive) Bali Zoo (30 min drive) or Bali Safari park (30 min drive). If wanting to visit these places you are closer being in Sanur than other tourist areas of Bali. I decided to see what all the Ubud fuss was about. As far as I was concerned it was where hippies and wannabe hipsters went to do yoga and drink wheat grass! While a lot of that is certainly true it’s also home to the Ubud Monkey Forest which is what I wanted to check out. There are numerous tours and buses you can catch to Ubud from anywhere in Bali but being on a tight schedule I just jumped in a Blue Bird Taksi. Worked out about 15NZD to get there so no big cost and cheaper than booking a full guided tour. After my one-hour scenic taxi ride we arrived at the Monkey forest. The entrance fee was just 50000IDR or 6NZD. Now having 4 young kids myself I felt like I could relate really well to these monkeys. They are very cheeky though and make sure you watch your belongings as they will grab and run off with them if given half a chance. I really enjoyed the monkeys and just being in a different environment surrounded by trees and in the jungle. There were also temples to view as well. There were quite a few tourists but hey it’s a tourist destination so that didn’t bother me, also I saw some monkeys jump on people and get a little aggressive but the key is to just stay relaxed and don’t get panicked and flustered. All in all, I really enjoyed my visit and would recommend going especially for families and kids to do something a bit unique. Personally, I don’t think I would stay in Ubud unless you wanted to stay at a yoga or health retreat). It was such an easy day trip from Sanur and is just as easy to go there as part of a day trip from many other points in Bali. Families or couples can hire their own driver and vehicle for the day for around 50NZD and the driver will take you anywhere you wish to go so I think this is the best option if wanting to go to or explore Ubud. Each to their own though. After getting back to Hotel in Sanur I headed to the Esplanade and the beach at Sanur. There is a path that runs the length of Sanur for around 10 km. Along the way you will find bars, restaurants, shops and plenty of beach areas to chill and take in the sunset. Just note that late in the day the tide goes out and with it the chance for a swim. Also at night the pathway is not very well lit so can be a bit difficult trying to navigate when dark. Dinner was so good at the hotel restaurant the night prior I had to eat there again. Tonight they had some live music and the best crispy pork belly dish I’ve ever had for 8NZD, not to mention buy 1 cocktail get one free so 2 cocktails for 4NZD. Sanur Beach at low tide above from 3pm onwards. Sanur Beach at high/normal tide below from 10.00am – 2.00pm. Today I’m making my way to my final destination, IZE Hotel Seminyak but first time for a wander down the Sanur Esplanade and a Bintang by the ocean…. Upon return to the hotel I booked my Blue Bird Taksi and off to the young trendy area of Seminyak and check in to IZE Hotel Seminyak. 12NZD and 30mins later time to check-out what Seminyak is all about. I’m finding all the shops and restaurants here a tad more modern and upmarket. I head down to Seminyak beach winding my way down and through alleyways until I reach my destination. Upon arrival I must say I’m not really blown away by Seminyak beach. Maybe it’s just the fact it’s a grey day today but the beach looks like I’m near Oamaru, dark water, darkish sand and churning rough seas. I was at the Northern part of Seminyak beach so maybe its nicer further south? Back into town for a look at some shops and to find a good place for a bite. Found a restaurant/bar “Char Char Bar and Grill” that’s setup like a grandstand facing the street. Located just across from the hotel was a very cool and different experience. After Dinner I thought I better sample the Seminyak night life, I was recommended La Favela restaurant and club for a good night out. This place is a large place with random rooms and nooks and crannies and a South American sort of vibe. I wandered in around 10.00pm to find people sitting down eating meals and thought this can’t be the place everyone said goes off, so I went next store and sat in a garden bar to have a couple of quiets. At about 11.00pm I thought I’d head back to the hotel but on my way just popped back into La Favela bar for a second glance. The place had transformed! Someone must of flicked the switch….The place was packed! People were dancing on tables, a 50 year old Greek guy was walking around the dance floor with bottles of spirits giving people free shots, there was different areas that had different Dj’s on different levels, in different rooms, almost like 7 parties going off under the same roof, it really was hard to fathom the transformation of this place. I ended up meeting lots of cool people and having a great night until close. If you have any clients in the Seminyak area who are after a good night out I highly recommend! The next day I had a voucher for Finns Recreation club (they also have Finns Beach Club which is more for adults wanting to drink cocktails and chill by the pool). Seminyak beach is dotted with hotels, bars and beach clubs. Most people seem to spend more time at these establishments than on the actual beach. Finns Recreation Club is a place you can pay to enter. For around $10-$15NZD you get entry which includes access to its water park facilities. (yes, it has its own small version of a water park). For the money this is great value and a nice way to spend a day. It's situated about 7km north of Seminyak, you can organise someone from Finns to pick you up from your hotel or it’s just a 5NZD taxi ride away. Not only does it have own water park it also has a trampoline centre, and ten pin bowling and a sports field to kick a ball around so it has something to do for everyone! Different passes give you access to different areas depending on what you or the family wish to do. There is enough to do to spend a full day here and makes for a great day out. After my day at Finns I decided on some final shopping for the family in Seminyak. 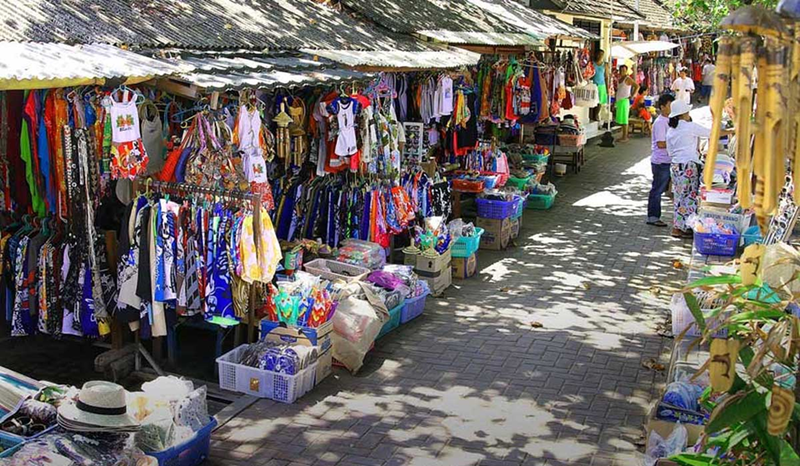 As stated earlier you have plenty of modern shops or can try the more traditional Bali markets. The pricing at the markets in Seminyak did seem a bit higher than in Kuta so may pay to do most your shopping there if after the best bargains. Flea Market Seminyak is under plastic make shift roofing and when the sun is out it gets hot underneath so I would advise going early morning or evening to avoid the heat. Items for sale are generally dresses, t-shirts, hand bags, sunglasses etc etc…. One final night in Bali, I spent a quiet night by the IZE hotel infinity pool and dinner at the hotel. Again two for one cocktails all day/night long at the pool bar on the roof so great value for money. The final day of the trip and the first day of bad weather, strong steady rain kept me inside most the morning. During a break in the weather I managed a stroll down the main drag of Seminyak and to spend any last dollars I had. I had a pre-booked transfer that picked me up at lunch time and took me to Denpasar Airport. Although not that far distance wise, maybe 15-20km, the journey took about an hour with heavy traffic. I was at airport around 3 hours prior to my flight home and check-in had not yet opened. It finally did about 2 and half hours prior and once through check-in and customs I was granted access to the Thai Airways Lounge which all Koru members are given access to. The lounge wasn’t as good as any Air NZ lounge with limited food and drink choice but still a place to put up my feet and reflect on the trip I’ve had. I heard good and bad things about Bali before I left, a lot of those bad things can happen anywhere… The good things Bali has to offer is certainly worth consideration. Direct flights from Auckland on Emirates and Air NZ, great value for money food and drink, beautiful weather (wasn’t as hot and as humid as I thought it would be), fantastic accommodation options, great service, and lots to do. What was my favourite part of Bali…. it’s hard to say as Kuta, Sanur, and Seminyak all had their distinct advantages and disadvantages. Would I go back? Yes, without a doubt. A lot of people say Bali is like Thailand or Phuket in particular. It certainly has some similarities but in most cases Bali has a lot of advantages over the other. Akana Boutique Hotel Sanur – 4 star small boutique property. Really nice modern rooms, small pool but does the job of cooling you down, fantastic service, free bike hire, great breakfast and awesome value for money restaurant. About a 10 min walk to the beach only negative but that didn’t bother me. Rate for pool view room also around 150NZD which included full breakfast. If taking a taxi, ask or use the Blue Bird Taxi (Taksi). Don’t drink the tap water unless you want Bali Belly…. Most properties provide 2 free bottles of water or from the local dairy (Circle K) you can get a one litre bottle for about 80 cents NZD. The Bali power sockets are hard to fit into, even with correct adapter. If USB charging then plug into USB slot in flat screen TV in room, TV will need to be turned on to charge. When shopping at markets, correct buy price should be half to a third of the first price they give you. If going to a water park or any beach clubs arrive early to ensure you get a good spot and have access to a lounger. If getting sick of any hawkers (people trying to sell you stuff) just say no thank you or don’t even engage in conversation with them. (not making eye contact helps as well). Traffic can be very heavy and slow going especially in the Seminyak and Kuta/Legian area. Make sure you allow extra time for getting from point A to point B. There aren’t really any road rules in Bali so would avoid driving own car or scooter. Just jump in a Blue Bird Taxi if don’t want to walk, or hire a taxi for the day if want to travel around. If drinking in some bars avoid any cheap local made spirits as could be at risk of methanol poisoning. Most upmarket bars should be fine though. Some hotel food can be expensive so eat out at local restaurants if you after more variety and better pricing. Older PostIs a Touring Holiday For You?